Renting in Rittenhouse: What will $1,500 get you? According to Walk Score, this Philadelphia neighborhood has excellent walkability, is great for biking and has excellent transit. Data from rental site Zumper shows that the median rent for a one bedroom in Rittenhouse is currently hovering around $1,592. 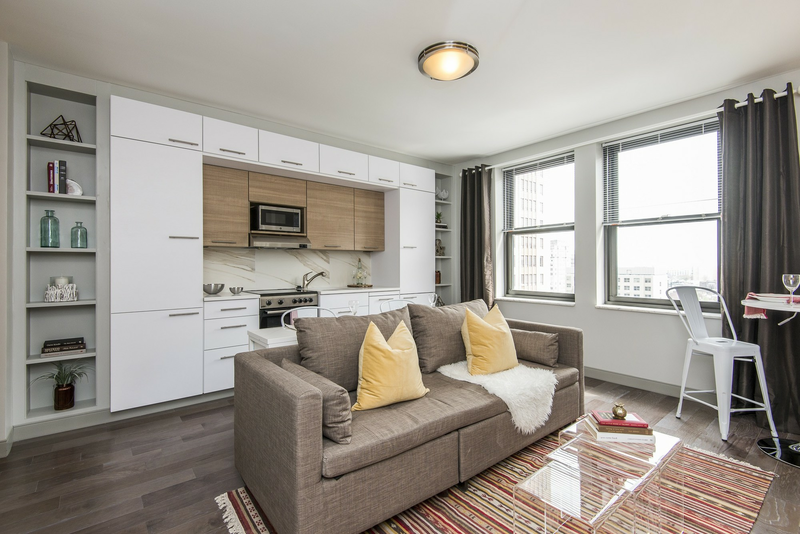 Listed at $1,500/month, this studio is located at 1932 Spruce St. Shared outdoor space, secured entry and assigned parking are listed as building amenities. In the unit, you can anticipate hardwood and tile flooring, high ceilings, air conditioning and heating units, black appliances, wooden cabinetry and French doors. Both cats and dogs are welcome at this location. Here's a one-bedroom, one-bathroom unit at 2026 Chestnut St. that's going for $1,495/month. The building has outdoor space and secured entry. In the apartment, you'll get hardwood flooring, in-unit laundry, recessed lighting, stainless steel appliances, granite countertops, wooden cabinetry and a patio. Pet lovers are in luck: cats and dogs are allowed. Next, check out this 658-square-foot one-bedroom, one-bathroom condo that's located at 2101 Chestnut St. It's also listed for $1,495/month. The building features on-site laundry, garage parking, a fitness center and an elevator. In the unit, you'll get hardwood and tile floors, white appliances, granite countertops, wooden cabinetry, high ceilings and closet space. If you've got a pet, you'll be happy to learn that cats and dogs are allowed. Located at 135 S. 17th St., here's a 346-square-foot studio apartment that's listed for $1,450/month. The building features on-site laundry, outdoor space, a fitness center, an elevator, storage space and secured entry. Apartment amenities include hardwood and tile flooring, stainless steel appliances, central heating and air conditioning, built-in storage features and high ceilings. Feline companions are permitted. Here's a 450-square-foot one-bedroom, one-bathroom condo at 2100 Walnut St. that's going for $1,445/month. Building amenities include a residents lounge, a door person, on-site management, dry cleaning services and on-site laundry. The apartment features hardwood and tile flooring, air conditioning and heating units, white appliances, granite countertops and wooden cabinetry. Sorry pet owners, neither cats nor dogs are welcome here.